Update on Wind Turbine Study | Mothers Against Wind Turbines Inc. Recruitment continues for the Huron County Wind Turbine Study about Noise, Vibration, and Light. Launched in October of 2017, recruitment for participants will continue until the end of October 2018. Interested Huron County residents, who live within 10 km of a wind turbine, can find all the materials needed to participate in the study at any branch of the Huron County library. Library branches can also return participants’ completed materials to the Health Unit. Materials are also available on the newly-updated website page, www.huronhealthunit.ca/wind. 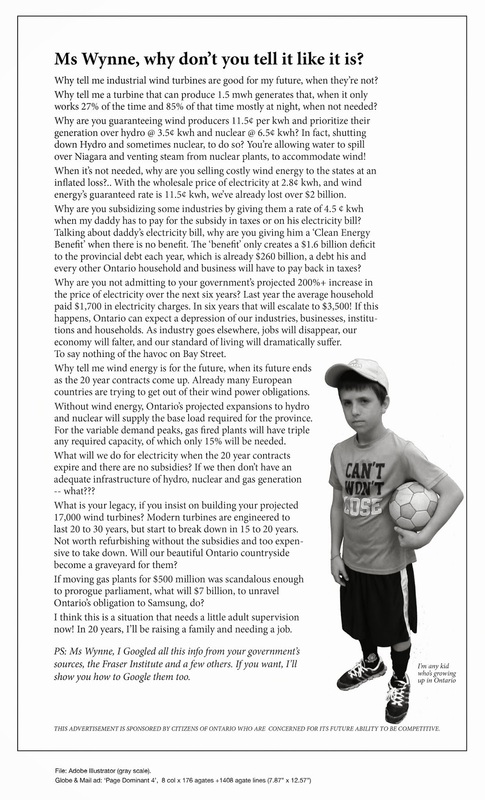 Huron County residents who live within 10 km of a wind turbine are eligible to participate. The Health Unit wants to hear from those who do and do not have difficulties with wind turbines so we can look at differences between the two groups. Participation involves returning a completed consent form, doing the Registration Survey, and completing the Observation Diary. We are asking participants to complete the Observation Diary at least one week every month during the 12-month data collection period. A map showing what households are eligible can be found at any branch of the Huron County Library and on the Huron County Health Unit website. For more information, please visit huronhealthunit.ca or contact the Huron County Health Unit at 519-482-3416 or 1-877-837-6143.